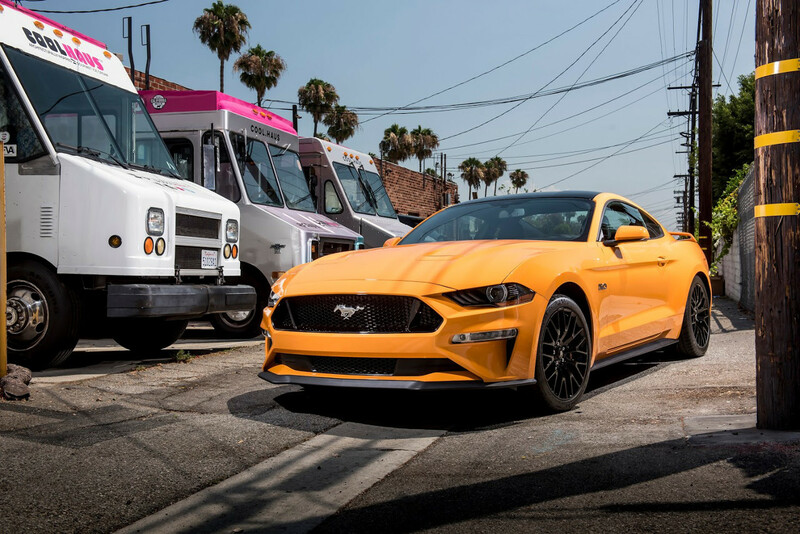 Summertime is prime Mustang weather. 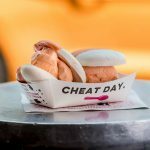 It’s also prime ice cream weather, which makes Ford’s recent collaboration with Coolhaus Premium Ice Cream perfectly suited to the season. 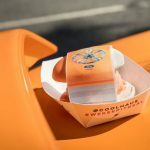 Together, just in time for National Ice Cream Day this Sunday, Ford and Coolhaus have created a limited-edition Orange Fury ice cream sandwich inspired by the 2018 Ford Mustang and its available “Orange Fury Metallic Tri-coat” exterior paint option. 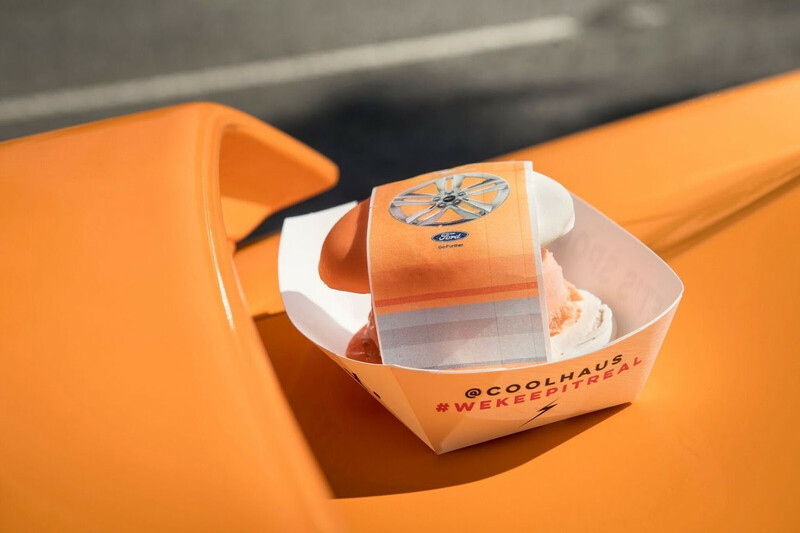 Starting tomorrow, Coolhaus will give away the limited-edition ice cream sandwiches free-of-charge for four days at several locations throughout New York City, using a Coolhaus truck stylized with 2018 Ford Mustang decals. 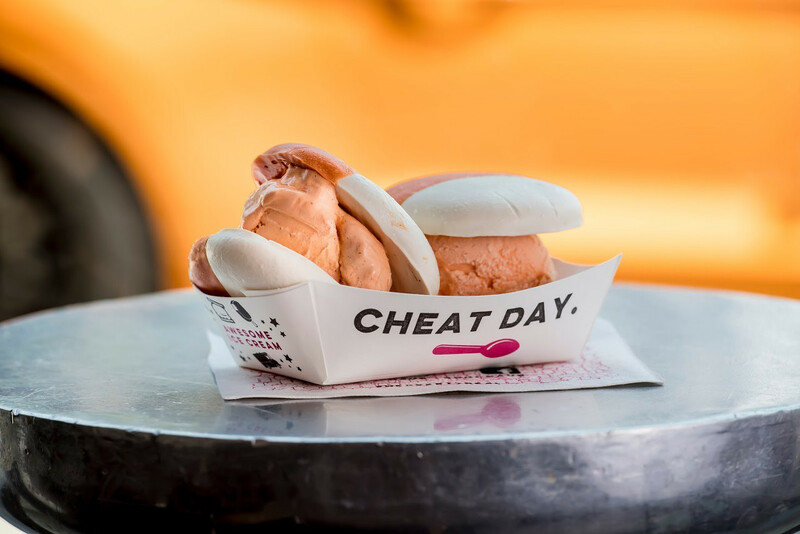 The Coolhaus Orange Fury ice cream sandwich consists of two fresh-baked vanilla cookies with orange icing, with a scoop of Orange Fury ice cream between them. The sandwich even gets a special wrapper: an edible paper one made from potato, with a Mustang print rendered in edible ink. 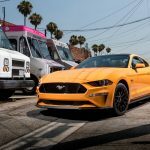 The refreshed, 2018 Ford Mustang will reach dealer showrooms starting this fall.